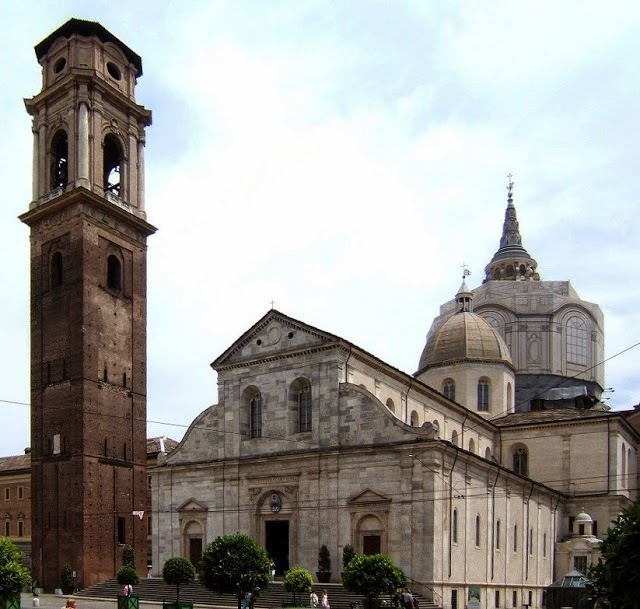 TURIN, Italy - The Shroud of Turin, arguably Italy’s most famous holy relic, will be on display from April 19 to June 24, 2015 at the Cathedral of Turin, in the northern Italian city of Turin. The Shroud was last on display in 2010 and more than 2 million people visited Turin during the 44 days it was on display. This time it is expected that the crowds will be even larger for this exceptional event as Pope Francis will make an appearance on June 21 to visit the Shroud and celebrate the birthday of San Giovanni Bosco. It goes without saying that reservations are necessary. Even at this early stage organizers are advising the public that the reservation process might take a few minutes, so you need to be patient. In the first few days the reservation site was open in 2010, almost 1 million requests had come in so it is easy to understand their concern. You’ll find on-line and phone reservation information at the end of this article. 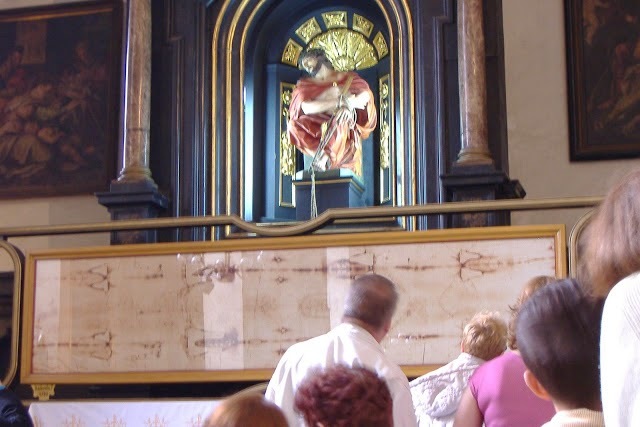 According to tradition, the Shroud is the burial cloth of Jesus, but even with the use of special carbon dating techniques, experts have been hard pressed to date it much before the 14th century. However, there is some evidence that on August 15, 944 DC an image bearing cloth known as the Cloth of Edessa, was taken from Edessa to Constantinople (now Istanbul). It had been in Edessa since it was found sometime in the middle of the 6th century, hidden behind some stones above one of the city's gates. According to legend the cloth, with a miraculous picture of Jesus, was brought to the King of Edessa sometime between 13 –50 DC by a disciple known as Thaddeus Jude, who claimed to have been sent by the apostle Thomas. But historians don’t seem to be able to agree on any of the dates and there are those who believe that the shroud was taken by Robert of Clari or other French knights of the Fourth Crusade during the sacking of Constantinople in 1204. There may be some truth in that as Robert of Clari mentions seeing the cloth at the Imperial Palace in 1203, even if the first actual records only trace it back to Lirey, France in 1354. If the Edessa Cloth is the Shroud of Turin, then written record of its existence goes back to the sixth century. But is it? The controversy continues. While no new tests are officially scheduled scientists at Oxford University, where the original tests were done, are taking another look at the data and methodology of the original tests to see if any mistakes were made and if the Shroud could actually date back to the time of Jesus. Groups dedicated to researching the relic argue that the shroud has been handled so many times that it could easily have been contaminated. This could alter the chemical makeup of the carbon in the linen which in turn would affect the results of the carbon dating. 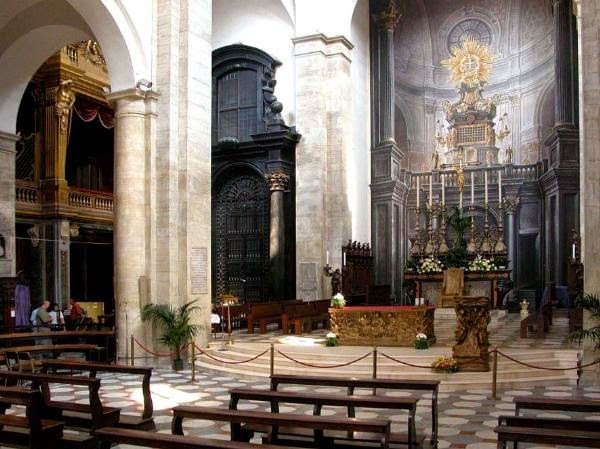 To avoid additional contamination the Shroud is now kept in a covered, bulletproof, climate controlled case inside the Cathedral of Turin. 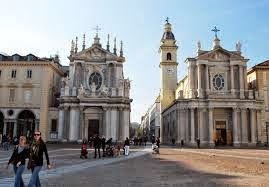 If you are planning on going to Turin I can tell you from my own experiences when I went to see the Shroud several years ago, the city is well organized and even though there are a lot of people, lines move quickly and you never feel lost in a sea of humanity. It is a unique experience. If you do have a chance to go and see the Shroud I strongly suggest staying a few extra days. 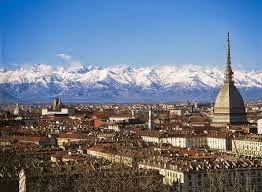 Turin is one of the most historically interesting and architecturally beautiful cities in Italy, albeit not traditionally Italian. It was the city of Italy's royal family, the French Savoy, and they turned the city into a spectacular European capital. Vale la pena, as the Italians say – it’s worth it. Your tickets will be sent to you via e-mail. Call +39 011 529 5550. The call center will be open from Monday to Friday from 9AM to 7PM and Saturdays from 9AM to 2PM. 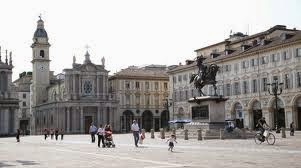 That’s Italy time, so you’ll need to calculate the time difference between where you are and Turin. This is the information that I have as of today. As things change, as they often do here in Italy, I will update this information. This Italian Life now has a Facebook Page. You can get there by clicking the Facebook badge on the right hand side of the page or going to https://www.facebook.com/thisitalianlife. I’m still working out the kinks and I know the badge is kind of crummy, but clicking on it will take you to daily updates of life in Italy. I hope you’ll check it out, leave a comment or two, and while you are there it would be nice if you gave the page a Like. Thanks.